A Softball game is played between two teams consisting of 9 players on each team. The game is played on a diamond shape field consisting of a home plate and three bases. A batter tries to hit the ball and then run around the bases. Once the batter runs around the bases and makes it back to home plate they have scored a run. A fielding team tries to get the batter out before they reach home plate. A fielding team dismisses the batting team once they have got three of their batters out. It is then their turn to bat. 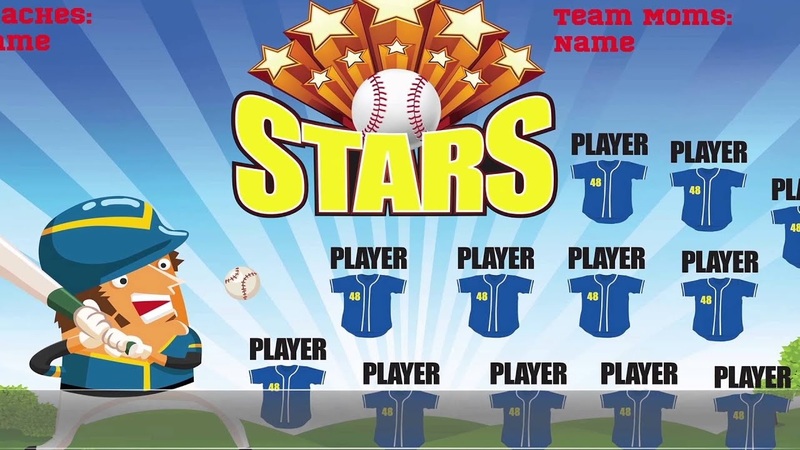 Softball is also a fun way for children to develop basic motor skills in a team environment. Children can begin to participate in softball at an introductory level from the age of 5 and because the sport is a non-contact game, the risk of getting an injury is very low. Hence, softball is a game that can be played both by girls and boys. Softball is a great way for children to experience working in a team environment. If you want your kids to fully enjoy the experience of playing softball, order a softball banner for them so they can see their name on it. Not only that, they will surely feel inspired when they see the name of their team as well as their team logo. If a kid sees his name on the banner, he will feel inspired and he will give his best on the game. Softball is a game that is traditionally played during summer season. Typically children can sign up to play softball in late August and early September. Contact your local softball club for specific information regarding their registration process. Even if the season has commenced it is recommended that you contact your club to enquire as to whether there are any places available for your child. You can place your order as early as now so that when the time comes that you will introduce the game to your child, you already have the banners to show them and the design will surely motivate them to play hard. Introduce the game to your kids and let them feel special by getting banners and other sports paraphernalia like grommets and hems and see how excited your kids will be once they see it. They can also express their creativity because they can upload their own design in the website and we will have it printed for them. Softball is a good way to make a child inclined into sports and softball banner is one way to make them feel supported and special.